Monowar Hossain Dipjol is a Bangladeshi film actor and director who is best known around the country as Dipjol. He is one of the well-known villains in the Dhallywood film industry. Dipjol entered into the film industry as a hero like Misha Sawdagor but he didn’t get enough success, then he turned himself into a villain eventually get terrific triumph in the film industry. RAB has arrested him in 11 criminal cases has been given 40 years imprisonment. Dipjol was born on June 15, 1968, at Bagbari, Mirpur, Dhaka to Shohrab Hossain and Jobeda Begum. He has two elder brothers and four sisters. Dipjol is a grandson of famous donor and businessman Hazi Lal Miah Fakir. He is linked with politics and a supporter of Bangladesh National Party (BNP). Dipjol elected a ward commissioner in 1994. Monowar Hossain Dipjol started career journey in the film industry as a hero with the movie ‘Takar Pahar’. Then he acted in another movie ‘Habildar’ as a hero but the two movies were not commercially hit. Dipjol turned himself into a villain and got huge success in the movie industry. He showed off a terrific performance in the movie ‘Teji’ with co-actor Manna directed by Kazi Hayat. In 1999, Dipjol acted in the blockbuster movie ‘Ammajan’ with Manna and Moushumi. Then the villain acted in the movie ‘Nayak’. Dipjol again appeared in the movie as a hero with the movie ‘Koti Takar Kabin’ with Apu Biswas and got positive acclamation from the critics. Then he showed off an outstanding performance in the movie ‘Chacchu’ with co-artists Apu Biswas and Shakib Khan. Dipjol already acted in more than 200 movies in the Dhallywood film industry. He made terrific performance in the movie ‘Gunda Number One’ with Manna directed by Montazur Rahman Akbar. 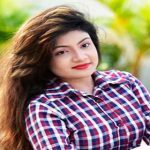 Monowar Hossain Dipjol made debut in the Dhallywood film industry with the movie ‘Panda’ where Manna acted in the movie. Now, he is seeking hero and heroine for his new eight movies. Monowar Hossain Dipjol married Rumana Monowar. They have three sons Shadman Monowar Omi, Sadab Monowar Fahim and Samir Monowar and a daughter Oliza Monowar who is a makeup artist. She studied in London in Prosthetic make-up. Oliza Monowar is pursuing make a film in the Dhallywood industry. She comes to the industry with a horror movie.